No institution has done more to shape Western civilization than the two-thousand-year-old Catholic Church and in ways that many of us have forgotten or never known. How the Catholic Church Built Western Civilization is essential reading for recovering this lost truth. Thomas E. Woods, Jr. holds a bachelor's degree in history from Harvard, and his M.A., M.Phil., and Ph.D. from Columbia University. A senior fellow at the Ludwig von Mises Institute, he is the author of eleven books, including the New York Times bestsellers Meltdown, The Politically Incorrect Guide to American History, and How the Catholic Church Built Western Civilization. 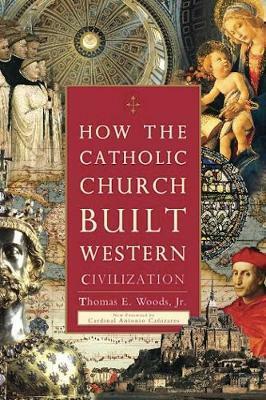 Woods won the $50,000 first prize in the 2006 Templeton Enterprise Awards for his book The Church and the Market. He lives with his wife and four daughters in Topeka, Kansas.